I was about to sleep when I saw a post from Lalaloopsy Facebook Fan Page. These pretty Lalaloopsy dolls are out last January 14, 2013 and were even offered for free shipping that day. Well, you can still get those dolls today even without the promo. Mommies and your little kids will be so excited to get both of these! 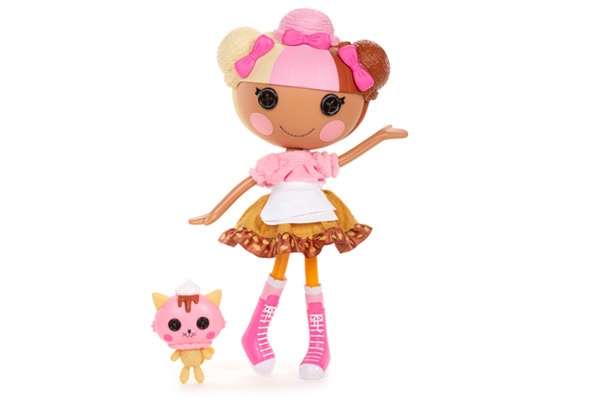 New dolls from Lalaloopsy to add to your little girl’s collection! Get them here Lalaloopsy Doll, Scoops Waffle Cone and Lalaloopsy Doll, Alice in Lalaloopsyland . Okay, time for bed now.